Calling all classroom teachers! 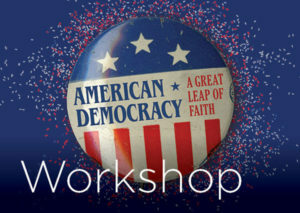 Please join us for a teacher workshop for our newest exhibition: American Democracy: A Great Leap of Faith with special guest Dr. Barbara Clark Smith, co-curator of this Smithsonian exhibition. The exhibition is the perfect fit for any history or civics curriculum and for all grade levels. Limited field trip funding is available and teachers who attend the workshop will have the first opportunity to apply. There is no cost to attend the workshop and refreshments are provided. Registration is required. 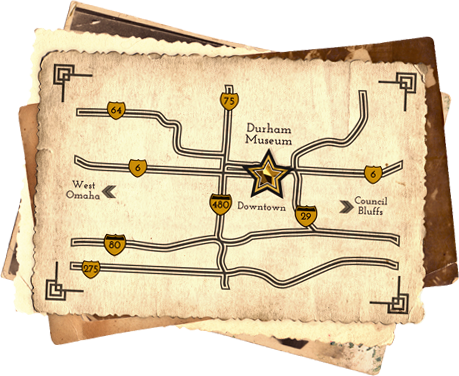 Register online at DurhamMuseum.org or contact the Education Department at 402-444-5027 or by email at education@DurhamMuseum.org – we ask that each teacher register individually to ensure the accuracy of registrant information.